What Do Employees Need from Decision-Support Software? Decision-support software simplifies the complicated world of employee benefits so that everyone gets the right benefits for their personal situation. It’s never a bad idea to investigate decision-support programs as a part of your employee benefits and compensation system, but sometimes the programs designed to help make decisions just make them more difficult. 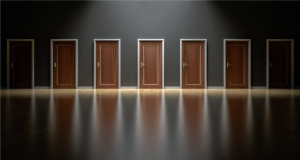 To find the best options that fit within your employee benefits and compensation systems, we need to ask ourselves some basic questions about how exactly decision-support software systems help employees. Employees want their healthcare coverage to, well, cover them for as little monthly cost as possible. Employees with medical conditions want to be able to go to the doctor and get their prescriptions as cheaply and as easily as possible. Healthier employees don’t want to pay very much for coverage they don’t need. 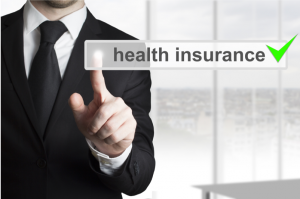 In short, employees want peace of mind from their healthcare benefits package. They don’t want to stress or worry about it constantly. Decision-support software helps employees get the information they need to make the right decision for them, so they don’t have to worry about it. 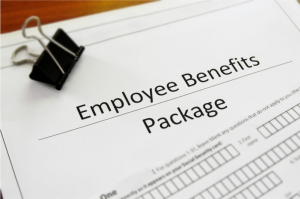 As an employer, providing a resource like this can help prevent you from spending time explaining benefits packages and working with employee benefits and compensation plans relentlessly. At minimum, decision-support software and other programs are useful resources for all employees to get the information they need. We’ve been over this. Standardizing the information for all employees and giving them access to employee benefits and compensation initiatives helps save you time as a manager. It’s useful to supplement the online information with face-to-face help signing up for benefits plans and answering questions, but many employees will make their decisions based on the software you provide. The best decision-support programs aren’t simply online bundles of information employees could get from their benefits and compensation packets, they anticipate employee needs and provide suggestions. The best way to do this is to allow employees to answer a few simple questions about what they’re looking for in a health care plan and then giving them suggestions based on that data. Especially if you’re a large company with a wide range of employees and healthcare options for those employees, giving them the tools to choose from a few optimized plans is incredibly beneficial. When your employees see how easy it is to find a healthcare plan that works for them, many more will sign up, and you’ll see morale, productivity, and support in your corporate culture improve. In the end, decision-support software gives the power to the employee to determine their best options. Trusting them to make the right decisions for themselves goes a long way to establishing a culture of trust and integrity throughout your organization. Many employees dread making these decisions about their healthcare coverage. You can ease that anxiety with easy-to-use tools and easy-to-access information.